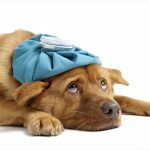 Below are more detailed reviews of the best anxiety & calming medications for dogs. Stress & anxiety in a dog can be caused by park play, a new family or pet member, fireworks, or a car or plane rides. 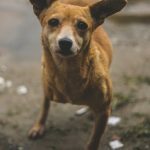 This stress and anxiety in a dog often shows itself through excessive barking, aggression or sometimes even biting. 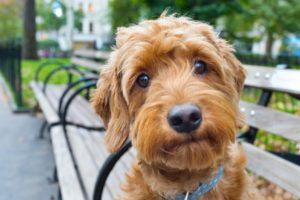 Dog anxiety, calming or stress medicine can come in the form of dog calming chews, tablets or even dog calming collars. The large tub of Zesty Paws Calming Soft Chews for Dogs contains 90 turkey flavor soft chews. Also available is a peanut butter flavor and a turkey flavor with the additional ingredient of Melatonin. Each chew contains Suntheanine®, a form of L-Theanine that helps dogs with stress and encourage relaxation with no drowsy side-effects. Each chew also contains Thiamine, Organic Chamomile, 240 mg Organic Hemp Powder & Passion flower and L-Tryptophan. An excellent choice for a calming soft chew for a dog. We give Zesty Paws Calming Soft Chews for Dogs our exclusive FIVE STAR rating! The PET CARE Sciences Dog Calming Treats for Dogs container contains approximately 100 small turkey flavored chews. Dosage is one chew for dogs up to 25 pounds, 2 chews for 26-50 pounds, four chews from 51-99 pounds and 6 chews for dogs over 99 pounds. Each chew contains the active ingredients of Chamomile Flower, Passion Flower and Ginger Root. Inactive ingredients include Canola, Palm and Vegetable oil, Flaxseed Meal, Oat Groats, Rice Bran and Rice Flour – in addition to several other inactive ingredients. Product works best when given 30 minutes prior to anticipated anxious event. Product is made in USA with manufacturer offering a 100% guarantee. We agree it’s a very good natural product and give PET CARE Sciences Dog Calming Treats for Dogs a FOUR STAR rating. Each Plano Paws Calm Treats plastic jug contains 120 chicken flavored dog calming chews. Dosage are two chews for dogs up to 25 pounds, 3 chews for 26-75 pounds and four chews for dogs over 76 pounds. Each chew contains the active ingredients of Organic Chamomile Flower, Passion Flower, Ginger Root, Valerian Root and L-Tryptophan. Inactive ingredients include Palm Oil, Flaxseed Meal, Oat Flour, Rice Bran and Rice Flour – in addition to several other inactive ingredients. Product is gluten free with no corn, soy, or wheat. Also there are no added sugars, salts, or gumming agents and are made with a no heat manufacturing process. 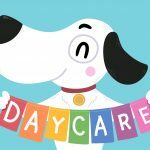 Product is made in USA and has a 100% money-back guarantee. 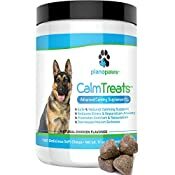 We give Plano Paws Calm Treats for Dogs & Cats our exclusive rating of FOUR STARS. The MaxxiCalm Calming Aid for Dogs contains 120 liver flavored tablets. 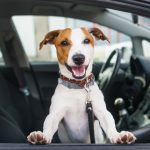 Dosage is 1/2 to one tablet for dogs up to 25 pounds, 1 to 2 tablets for 26-50 pounds and 2 to 3 tablets for dogs over 50 pounds. For maximum results, its recommended to divide the daily dosage into 2 or 3 servings throughout the day. Active ingredients include Taurine, Inositol, Chamomile, Passion Flower, L-Theanine, Thiamine (Vitamin B1) and Magnesium (citrate). Inactive ingredients are Dicalcium Phosphate, Isomalt, Liver (porcine source), Magnesium Stearate, Microcrystalline Cellulose, Natural & Artificial Flavor. Product is gluten free. 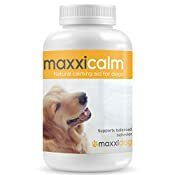 We give MaxxiCalm Calming Aid for Dogs our THREE STAR review and ranking!. 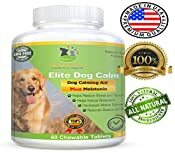 The Elite Dog Calm, Advanced All Natural Calming Aid Relaxant for Dogs plastic jar contains 60 large peanut butter flavored tablets. Dosage is 1/2 tablet for dogs up to 26 pounds, 1 tablet for 27-50 pounds and 2 tablets for dogs 50-99 pounds. comes in two sizes of product, both 8 and 16 ounces. Each chew contains the active ingredients of Chamomile & Passion Flower, Ginger, L-Tryptophan, Thiamine Mononitrate and Melatonin. Inactive ingredients include Beta Carotene, Dicalcium Phosphate, Magnesium Stearate, Maltodextrin, Micr0-Crystalline Cellulose, Non-Fat Milk and other inactive ingredients. Though this product has active ingredients than most, the tablets are a bit too large for smaller dogs. We give Elite Dog Calm, Advanced All Natural Calming Aid Relaxant for Dogs our THREE STAR ranking. 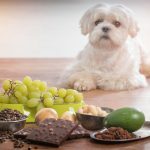 As you review dog calming products, note the ingredients. Note also the number of tablets or chews in each product and the suggested dosage for the weight of your pet. Though one product may be less in price than another, the dosage requirement may be larger, so it may not be the bargain it may appear.